Office located in Nevada City • Insurance Accepted • Free Interview Appointment. Come meet us! It is well known that midwives provide individualized care. Prenatal appointments last one hour which allows ample time to answer questions, counsel, and attentively assess mother and baby well being. Each birth is attended by two highly skilled, experienced Licensed Midwives. We have deep respect for the natural unfolding of birth and recognize that every woman births in her own way. Our style is to follow the cues of each woman in labor and bring patience and calm to each birth. 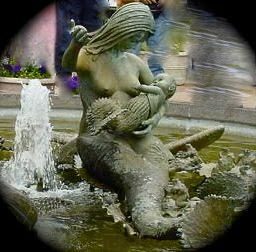 We assist in waterbirth if the family desires. Immediately after the birth, the baby goes straight to the mother. They are never separated. Skin-to-skin contact is encouraged as is breastfeeding. Family bonding is top priority, so we quietly tend to things while the parents, siblings, and baby meet. Post partum care includes breastfeeding support. You get to stay home as we return three times during the first week. We keep a close eye on the baby- checking vitals, weight, nursing and diaper frequency at each visit. We offer the Newborn Screen test in your home. Emotional support is also a big piece. It’s nice to have a person who witnessed the birth return and talk about it. Parenting is a big job, and we help parents have a healthy start.